Businesses that pride themselves on just-in-time delivery know the impact a comfortable working environment can have on productivity and engagement of their employees. When a major automotive supplier needed a heating and ventilation solution to offset the robotic welding stations inside its 1,000,000+ sq. 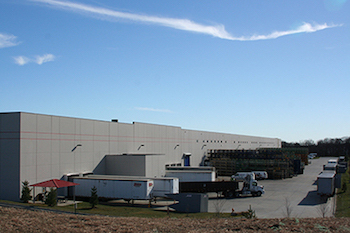 ft. manufacturing facility, it turned to Cambridge Engineering’s High Temperature Heating and Ventilation units to keep its employees warm, breathing clean air, and productive in the long Midwest winters. Following the installation, business and employee productivity thrived, and as demand increased over the years, the supplier expanded its facility, eventually growing its robotic welding stations from 20 to 50. In the winter of 2016, the supplier realized it had a problem: While air within the facility continued to circulate, indoor temperatures could not keep up with the cold winter temperatures outside. A site visit by the supplier’s mechanical contractor and a Cambridge Engineering service technician found the heating units were operating as designed, but it wasn’t until after the heating season ended that true issue was revealed. 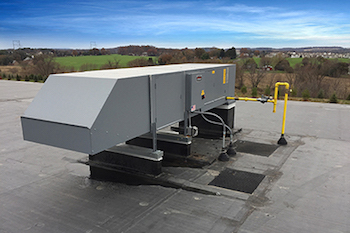 Working closely with the facility manager, the mechanical contractor and representatives from Cambridge Engineering spent weeks studying the building, running the HTHV units in ventilation mode to provide 100% outside air. 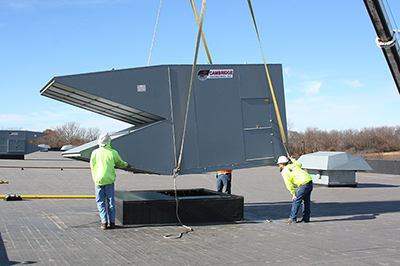 They also examined the exhaust fans installed later to continue meeting Indoor Air Quality requirements as the facility expanded and added more robotic welding stations overtime. Over weeks of study, the team determined the exhaust fans were depleting more cfm of air than the HTHV units were replacing. In fact, a majority of the heat was being exhausted by the fans. 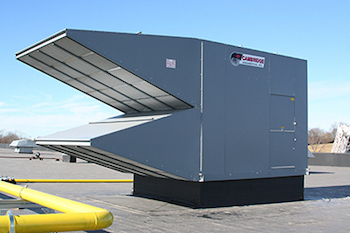 To bring the environment back into balance, the contractor recommended retrofitting the facility with make-up air units that could offset the exhaust fans’ cfm, as the existing HTHV units continued satisfying the heat load. 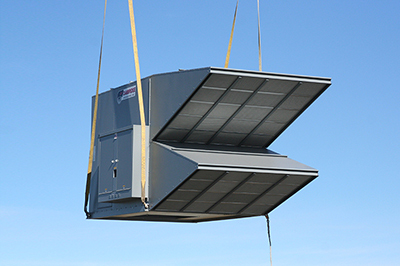 Over two days in October, the mechanical contractor lifted nine Cambridge M-136 make-up air units onto the roof, bringing the total project installation to 18 MAUs. For a supplier that prides itself on just-in-time delivery, the timing of the solution couldn’t be better.